Sometime, we see below error when we try to enqueue message to AQ (Advanced Queue). I faced this error when I used file rejection handler to enqueue rejected message to AQ. Cause: When we try to send the message to advanced queue which is not compatible i.e. 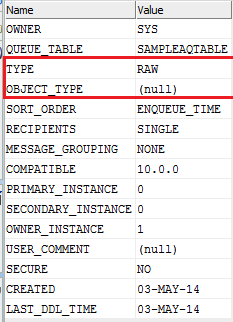 User tries to send an object to queue which is different as that of queue. 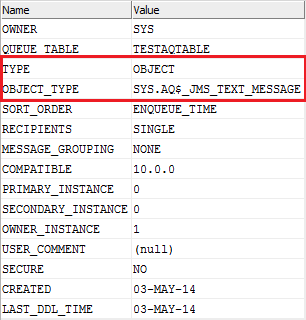 Solution: To make it work, I removed the object type and re-created the queue table as RAW type. Please refer my previous post to see how to create AQ table as RAW type.